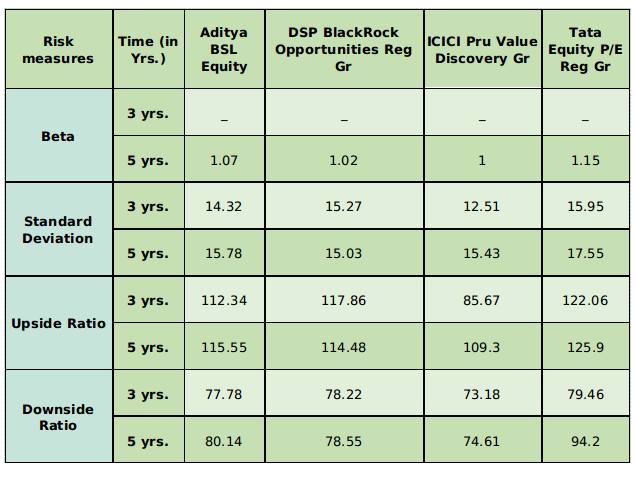 Get an idea of the top 4 multi-cap funds to invest for the high capital growth. In the era of the 21st century, when balancing life is the key to live efficiently, balanced investment becomes equally important to have fruitful results. What does a multi-cap fund depict? The multi-cap fund or better termed as a diversified fund, follow the rule of multiple investments. Multi-cap fund primarily invests in both small and large companies along with other sectors. This fund allocates the invested capital in various companies of different operational levels. It does not concentrate the capital in a single category unlike the sector oriented fund, instead it spreads the entire capital into the market seeking the multiple opportunities of capital appreciation. It is a smart fund to choose as it diversifies the risk and seeks growth prospects in the long term. Multi-cap funds are a category which invests in large-cap, small- and mid-cap companies making it the diversified equity fund. As the money of the investors gets invested in differentiated manner, the risk gets wisely spread among the various sizes of stocks. Multi-cap holds the essence of investment in low-risk, medium-risk, and high-risk stocks chasing the extreme growth in the long term. It lower down the risk of investing in a single stock and allow benefits of multiple investments. How rewarding is multi-cap fund? Multi-cap fund witnesses mixed growth as it involves high risk from small- and mid-cap companies, and low risk from large-cap investments. As the fund is diversified, rewards tend to be stable in mostly all market scenarios. When the market is positive, rewarding nature of small-cap works but even when the market is negative stable returns from large-cap companies work, additionally some or another sort of sector is always working. 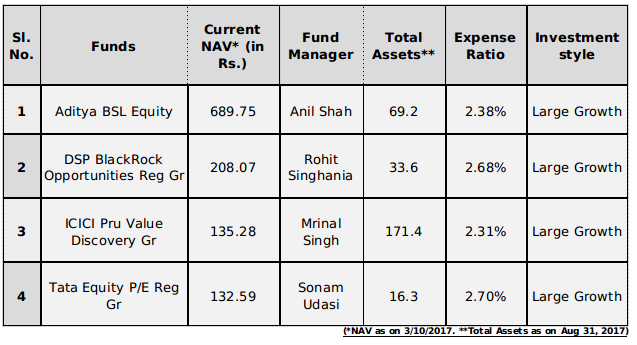 Risks and rewards are both stables in the multi-cap fund. The multi-cap fund best suits for investors willing to spread their risks. Investors with moderate risk capacity generally opt for this fund. As the rewards are also high and stable, multi-cap becomes a smart choice of fund for smart investors. But it is always advisable to consult the fund advisor before investing in any mutual fund. 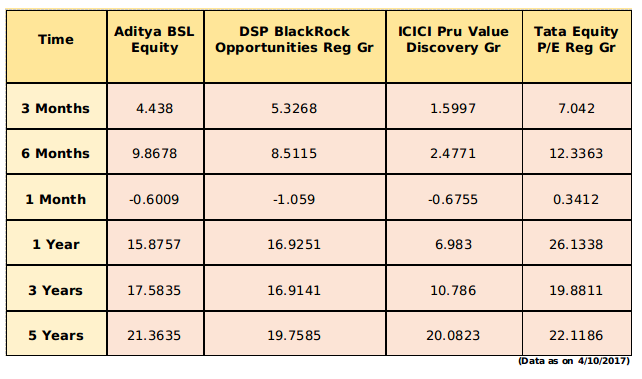 The table below gives a brief analysis about the trailing returns anticipated for different schemes for different cycles. The table below examines the risk with different statistical measures in the span of three and five years. Beta : Beta is a measure of the volatility, or systematic risk, of security in comparison with the market. Standard deviation : Standard Deviation measures the dispersion of a set of data from its mean. Standard Deviation is calculated as the square root of variance by determining the variation between each data point relative to the mean. 'Upside or Downside Ratio' : Fund's monthly return, calculated when the benchmark had a positive return and got divided by the benchmark return during that same month is known as Upside Ratios. The ratio calculated by taking the fund's monthly return during the periods of negative benchmark divided by the benchmark return is known as Downside Ratio.